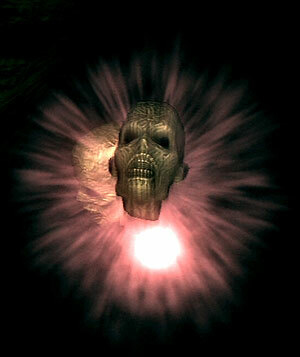 Flying skull with glowing aura. Can't be damaged, and can't be triggered with ranged attacks. Doesn't drop any items or souls. All over the area, usually near ledges. 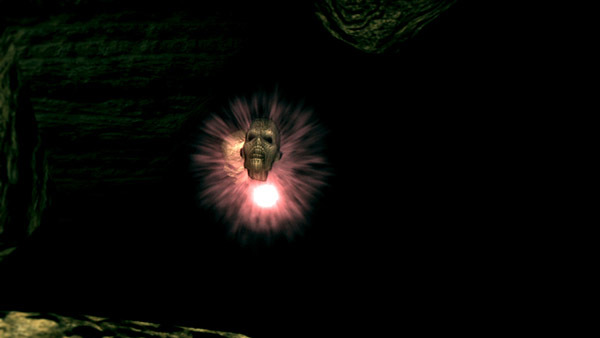 Spawned by the Mass of Souls enemy, which appear in the lower level of the New Londo Ruins after you have drained the water, their explosions will not harm other enemies. If you kill all the Masses of Souls, you won't find any more Wisps in the New Londo Ruins. Wisps only have one attack. When you're close enough to it, it will start shaking and emitting a scream-like noise. Then it explodes, killing itself and dealing AoE damage. This explosion will hurt other enemies as well in The Catacombs. Despite how it looks, the explosion deals only physical damage. When you hear the scream, disengage lock and face its general direction while holding up your shield. Be wary when fighting near ledges, as the explosion have considerable knockback (and drain lots of stamina), even when blocked. Wisps tend to have a very small radius of engagement. With the Ring of Fog equipped, unless the player touches the Wisp itself, the player can generally wander about without the Wisps posing any danger.